Cruising by barge through the rivers and canals of southern France... Can there be a more relaxing holiday experience? 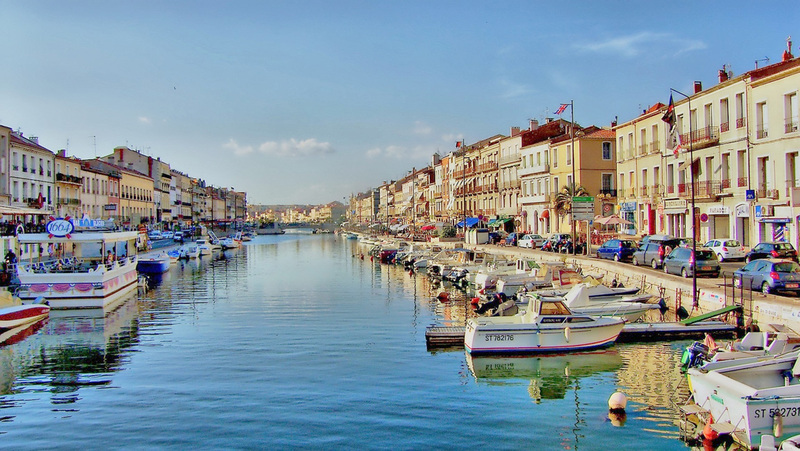 Each morning will be spent cruising along the canals and waterways as we sail leisurely between Sète and Arles. The small and intimate environment of our private barge along with a dedicated crew provide the perfect setting for a relaxing vacation. Enjoy first-class French cuisine watching the gorgeous landscape pass by. 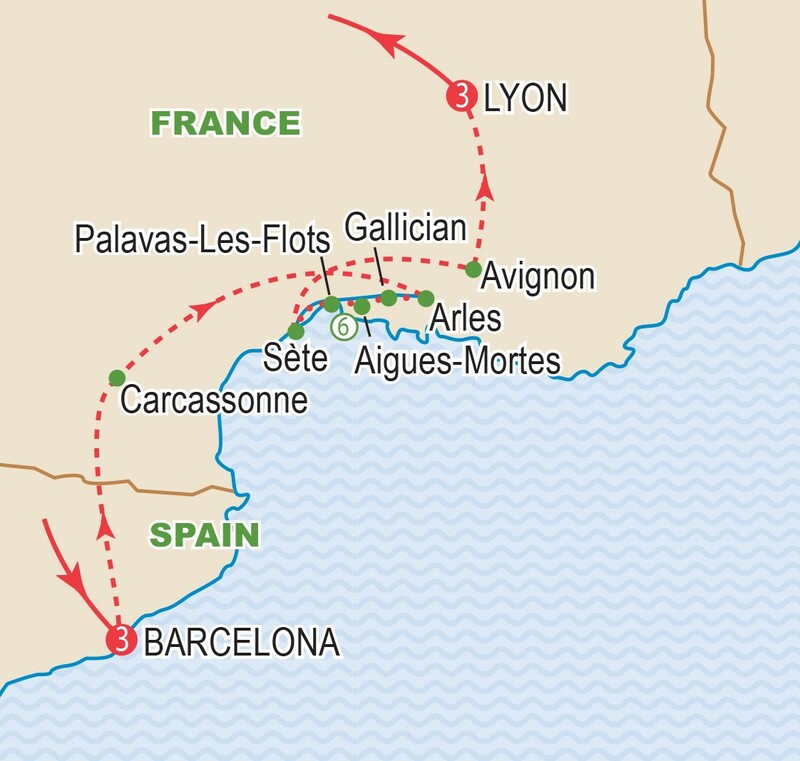 After spending three wonderful nights in Barcelona, we transfer to Sète to embark on our chartered barge, specially designed for this leisurely adventure as we cruise along historic inland waterways. All of our excursions have been included; no need to worry about what to do or where to go. In fact virtually everything is included: sightseeing, meals, service charges, taxes, and all tipping, leaving you free to enjoy every minute of our canal cruise. Finally we end our journey with three nights in Lyon. Space on this cruise is extremely limited. Maximum group size will be 22. Singles are on request. Group members gather today for our overnight flight to Barcelona, Spain. Enjoy a full day tour of Barcelona today, including visits to Sagrada Familia, Park Güell, Barcelona Cathedral, and La Rambla Boulevard. This evening has been left free to explore and try one of this city’s wonderful restaurants. Today has been completely left free to explore the bustling city. 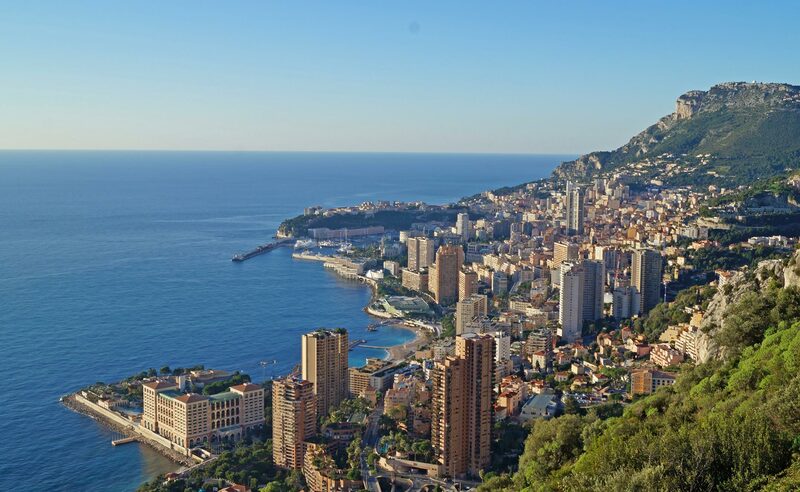 You may wish to visit the beach, stroll the streets and shop, or visit some of the varied museums or galleries. 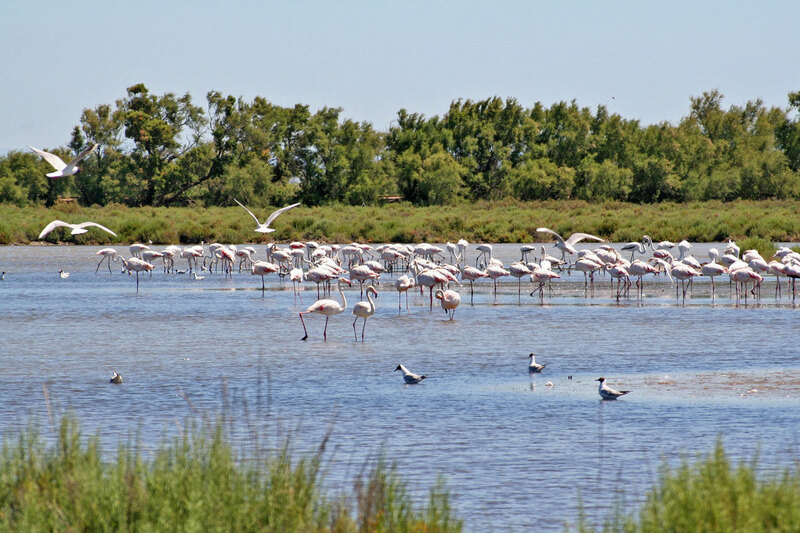 We set out on an excursion to the Camargue. After we can enjoy some free time in the splendid coastal city of Saintes- Maries-de-la-Mer, where we recommend a visit to its fortified church. 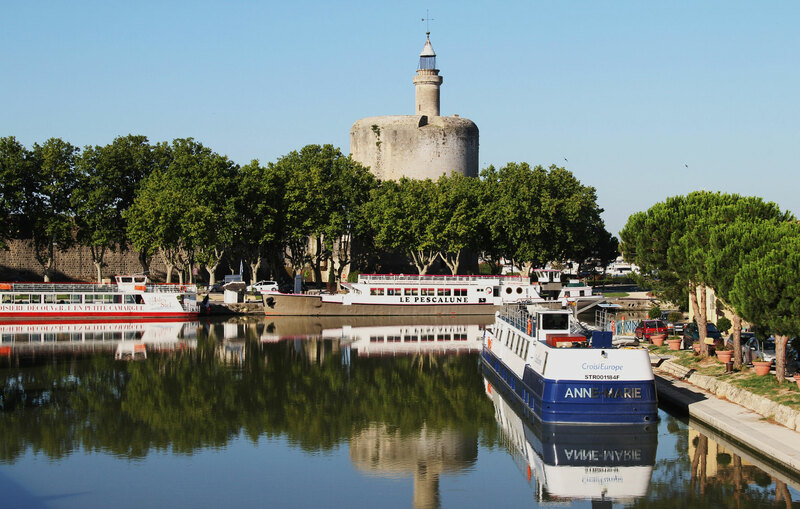 After our visit, we’ll return to the ship by coach, before cruising towards Aigues-Mortes. 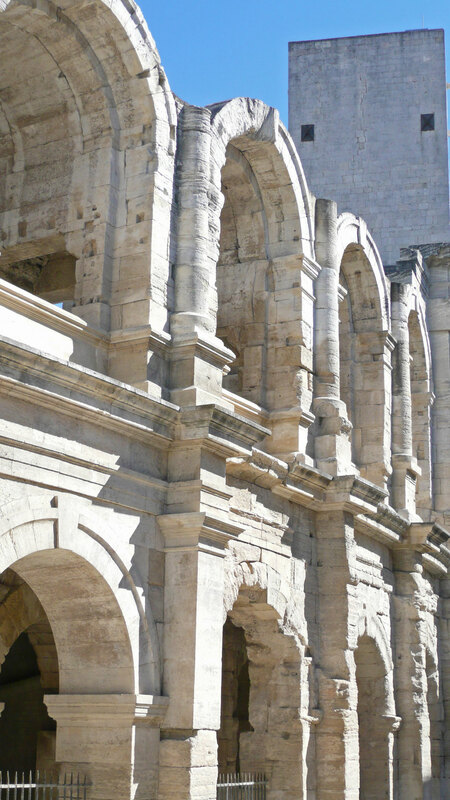 Enjoy a city tour of Aigues-Mortes, a fortified city with a rich heritage. Located in the middle of the marshes it is one of the most beautiful sites in Provence. We'll board a tourist train and tour the salt marches and visit the salt museum. Spend the afternoon cruising to Palavas-Les-Flots. Enjoy some free time to discover the spa resort of Palavas-les- Flots, whose rich identity reaches back for more that three centuries. Set out on a tour to discover a manade (herd of local livestock) and the life of its herders. Travel by wagon and witness the sorting of the bulls. Enjoy a delicious snack made of products from the farm. Relax this afternoon as we cruise towards Sète, arriving in the early evening. We shall visit Etang de Thau, a lagoon famous for its shellfish. Visit the museum to learn of the shellfish farmers and fishermen and taste some of the shellfish while taking in the beauty of the basin from a terrace. The afternoon will be dedicated to a tour of Saint-Guilhem-le-Désert, one of the most beautiful villages in France. Tonight is our gala dinner on board. Start the day on a gastronomic tour of Lyon. Visit the Halles de Lyon Paul Bocuse and enjoy a tasting of local pork and cheese products along with a glass of wine. After lunch at a local restaurant, continue our exploration of the city visiting Fourvière Hill and Basilica, Terreaux Square, the Rhône River quays, Bellecour Square and the traboules (passageways) of Old Lyon. Today has been left completely free to enjoy the beauty of Lyon with its beautiful pedestrian-only streets and excellent shopping. Explore the Old Town and the central core of the city. Dinner will be at a selected local restaurant. All too soon our journey comes to an end as we transfer to Lyon airport and fly back to Canada. The ms Anne-Marie has just two decks and 11 compact and efficiently designed cabins, each is about 12 metres square (130 sq ft). All staterooms have a small window, TV, radio, telephone (for internal calls only), in-room safe, and en-suite bathroom with shower. Cabins are on the lower level, public rooms on the upper level. A spacious lounge area with bar, dining room, and terrace can be found on the main deck. At the prow is a sun deck with parasols, lounge chairs and a hot tub. Bicycles are available for use by passengers. Air conditioning/central heating and Wi-Fi can be found throughout. Onboard are 5 dedicated crew members ready to take care of our needs. Rates are per person based on sharing an outside twin cabin. See Deck Plan for more information on available staterooms. Singles are extremely limited and on request. Cruise price is based on sharing a twin-bedded cabin with window and private bathroom. Prices are based on a minimum 20 members and on rates, taxes, and fees effective February 2018 and are subject to change due to factors beyond our control. Prices DO NOT INCLUDE the cost of insurance which is available and is highly recommended. Premiums vary with the cost, length of the trip, and the traveller’s age. For passengers up to and including 74 years on departure date, premiums will range from $314 to $486 pp plus applicable taxes. Cost supplements for travellers aged 75-85 will range from $191 to $404 pp plus applicable taxes. This insurance is effective from the date of purchase and carries limitations on pre-existing medical conditions. Please discuss your insurance coverage prior to booking. Refer to our Terms and Conditions for more information.